What do you do when you have a minor illness? Do you turn to antihistamines, ibuprofen and triple antibiotic cream? There is a better, more natural approach employing herbs, vitamins, and homeopathics. April 19th 2014 - Homeopathic first aid kit - I recommend that all people, keep a homeopathic remedy kit at home, as it can be used to safely and effectively treat many minor illnesses, such as coughs, vomiting, diarrhea, minor injuries, and minor burns. It should contain from 35 to 50 remedies in either the 30C or 30X potency. While you will not use all the remedies right away, it is great to have them on hand for use when needed. I love homeopathy because it assists the body in healing and balancing itself. Since the remedies are diluted during manufacturing, they are non-toxic and completely safe to give to infants, children, elders and nursing mothers. Homeopathic remedies are easy to administer and have no interactions with other forms of treatment, including conventional medications. Building a holistic first aid kit empowers people to take charge of their own health and trust their instincts when it comes to assisting the self-healing mechanism that resides within all of us. Bruises - For minor traumas without broken skin, I recommend topical homeopathic cream such as Traumeel or Topricin. If applied right after a bump occurs, it will prevent a bruise from forming or help it be less severe. If a more significant trauma occurs that causes bleeding, bruising or concussion, homeopathic Arnica montana 30C or 30X can be taken orally while further medical care is being sought. Minor burns and abrasions - My favorite herb is calendula because it is so healing to skin and sensitive tissues. It is very soothing and does not sting when in a bland (non-alcohol-containing) base. I always keep calendula oil (olive oil base) on hand, as well as calendula-containing herbal salve… in most cases it works as well or better than antibiotic creams. Colloidal silver gel, liquid or hydrosol) is also great for treating minor skin infections. It has an antibacterial effect, and also does not sting when applied. Colds and “flu” - When I feel a cold starting, I take an enhanced dose of vitamin D. It is safe to take about 100 units per pound daily for 3-5 days. This helps the body produce its own natural antibiotics, boosting resistance to infection. It also dampens the inflammatory response, which is what makes us feels sick. For signs of influenza (fever, chills, and body aches), homeopathic Oscillococcinum, available at many stores, if taken right away, will often sidetrack the illness quickly and efficiently. Watch for Dr. Janet's next article in about two weeks! Contact her at the number below with questions and to make an appointment. 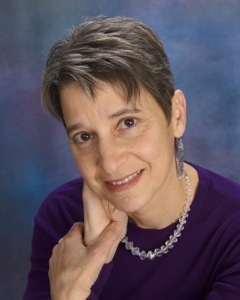 From 1986 to 2011 Dr. Janet Levatin ran her own medical practice in the Boston, MA area, where she offered a variety of holistic treatment options. She now practices medicine at the Tenpenny Integrative Medical Center in Middleburg Heights. She is available to share her skills with the residents of northeast Ohio. With 30 years of experience as a pediatrician and homeopathic physician for children and adults, Dr. Janet has expertise in diagnosing and treating diseases of infants and children. Her treatment plans include homeopathy, herbs, and nutritional support, in addition to conventional medicine, when needed. She also welcomes adult clients, and has much experience treating acute and chronic conditions of adults using complementary and other alternative therapies.